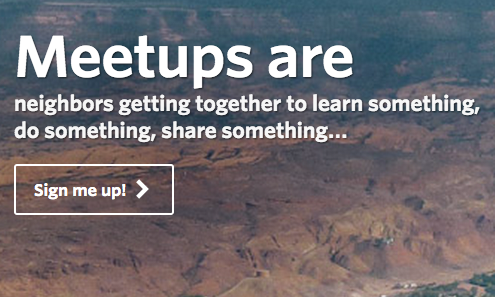 HubPages is excited to announce social meetings with your fellow Hubbers through the Meetup platform! One of the best aspects of HubPages is the amazing community you have all created. Paul and I have loved meeting some of you at our HubCamps and we have listened to your feedback: “We want to meet our fellow Hubbers!” To make this happen, HubPages has created a Meetup page. If you’re not familiar with the Meetup platform, it is a great place to organize get togethers in your community. If you are interested in meeting other Hubbers face to face, join the HubPages Community Meetup page for your area. If there isn’t a HubPages community page for your city, you can create it! 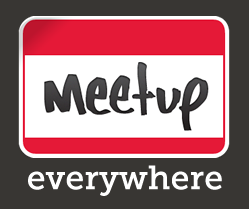 From here, you can recruit others to join your Meetup page and arrange a time to meet. You will also receive updates, if you choose, when someone else organizes a meeting in your community. A few Hubbers have mentioned trying to meet other Hubbers while on the road traveling. Through the Meetup platform, you can do exactly that. It’s easy to check out Meetups in other communities and try to organize a gathering when you are passing through their area. You can also see where Meetups are occurring around the world and see if your trip coincides. Finally, we’ve created a Forum specifically for social Meetups. Once you’ve created a Meetup community, post it here to let everyone know. If you have a date and time set to meet, this is a great place to promote it so all those in your city can join!Oh, and HubPages could be sending a bit of shwag your way if you’re the Meetup community leader. Just an added bonus to meeting your fellow Hubbers! Thanks, Kamran! We hope so too! I wonder if there’s other Hubbers from South Africa?